Cheryl Thurman puts the finishing touches on daughter Mollie, who is set to play Grace Kelly from the 1952 Academy Award-winning film, "High Noon." 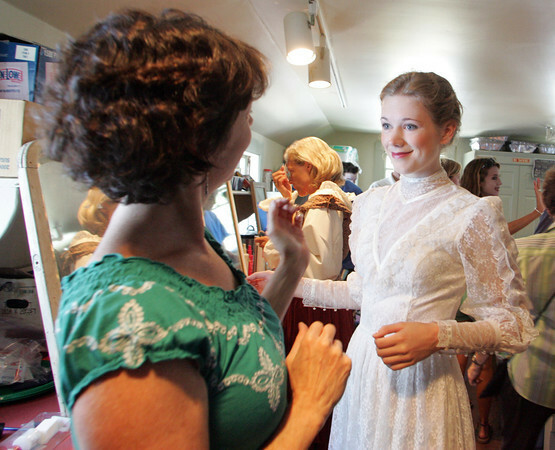 during the 2010 WaxWorks, which is one of the highlights of the Annisquam Village Sea Fair is the WaxWorks show. Photo by Mary Muckenhoupt.